This lesson is the second in a series. 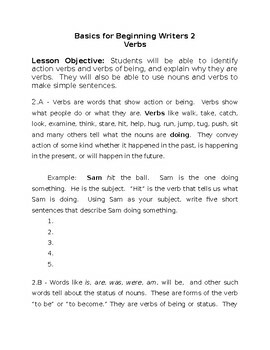 The student who completes this lesson should be able to identify action verbs and verbs of being. 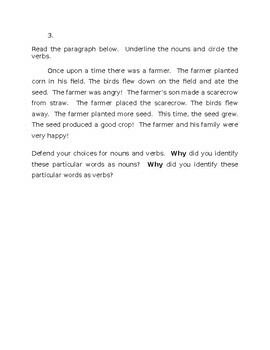 The student should also be able to use nouns as subjects and pair them with verbs to create simple sentences. 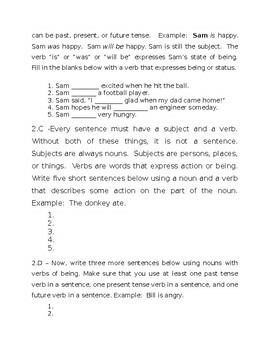 The student learns to use both action verbs and verbs of being, and to identify them in a paragraph.